A week into our little voyage and I am only now settling down enough to put finger to keyboard. The fortnight before we left Trinidad was a nightmare of newly discovered problems, each of which appeared from beneath it’s predecessor. It was hot and humid. My crew, old sailing friends John and Anna Little – ever so nice, cooperative, helpful – were a constant reminder that I had failed to deliver on my promise of idyllic Caribbean cruising. Work on the boat was slow, people didn’t turn up as promised and fabrication took longer than ever expected. That’s the way it is in Trinidad mon, get used to it, they all say. And I could’ve, but for this overriding imperative to give J&A a good time. Still, finally Tainui had new standing rigging and chainplates, re-sealed Profurl bearing, a new Vetus flexible coupling and a straight propshaft, and eventually we got away. And now we are making our way north through the Windward Islands, with long day sails and splendid anchorages every evening. This is truly fall-into-the water country. 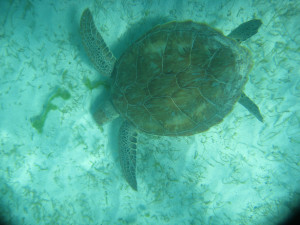 White sand, coral lagoons, turtles, palm trees. 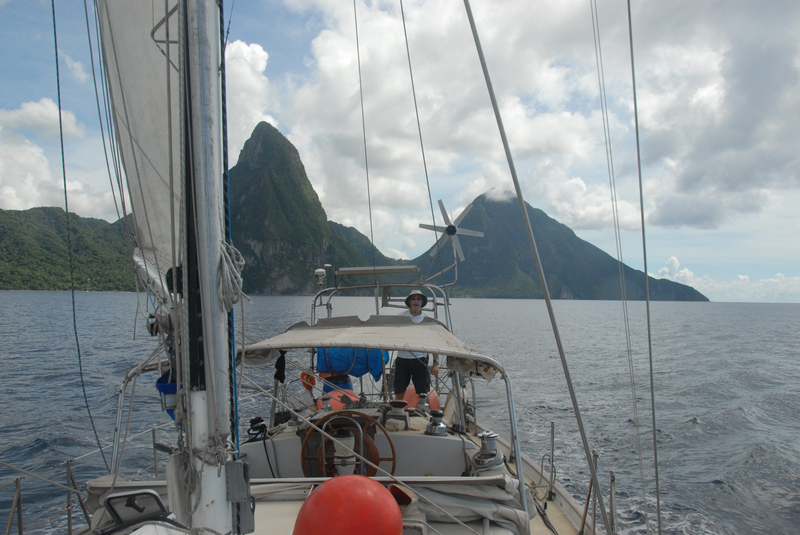 Last night under full moon we crept into Les Pitons in St Lucia, and anchored between two sheer, 1000 foot mountains in a tiny, protected bay. An old volcanic crater, I think. Made me think of Lana Turner’s cantilevered breasts with us in the cleavage. We don’t feel intrepid because the weather is so predictably gorgeous and and there are many yachts, but we are apparently early in the season and there is plenty of space and lots of islands between them. 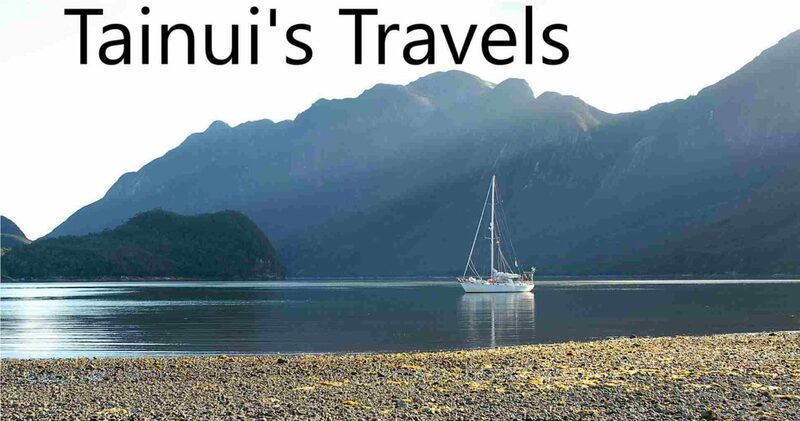 The boats are mainly chartered french catamarans in impeccable condition and Tainui looks more than a little soiled in comparison. But we love her. We will sail north and west through the endless sweep of islands in the Windward and Leeward groups – Martinique, Dominica, Guadeloupe, etc. The fishing is good, the boat is now working well and I am beginning to relax. J&A are splendidly easy-going and cheerful company. It is 6.30am and they are swimming. The water is clear and you can see the bottom at 40’. At noon we’re off to Dominica. We are hoping to get to Puerto Rico by about 8 November to offload John and Anna and take on new crew Ian and Lucy. Of the rest of the Lesser Antilles I will not say much. It must have been a wonderful cruising ground in Hiscock’s time, but now all those romantic-sounding islands are geared totally to exploitation – totally understandable, of course – of cruising yachts and the huge charter yachting fleets which ply the Windward group. 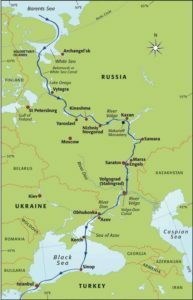 After Patagonian waters it is overwhelmingly crowded and I am pleased to be moving west through the Dominican Republic, and on to Haiti and Cuba where cruising yachts are almost unheard of.